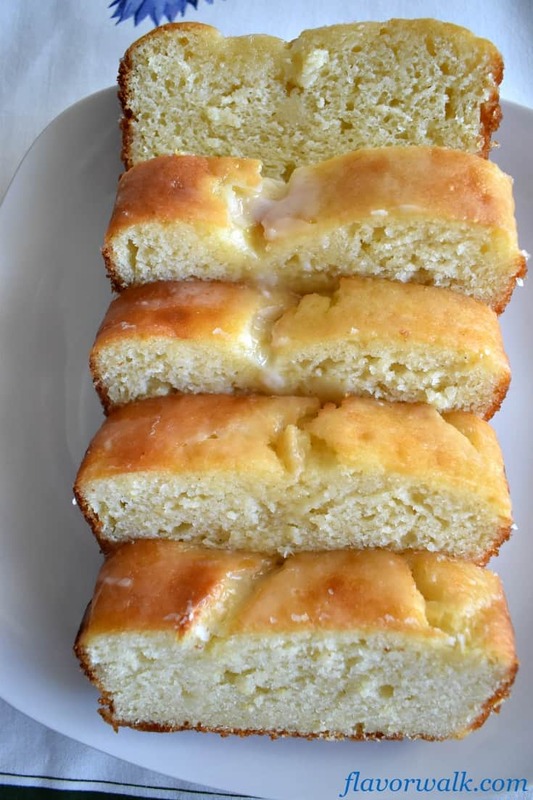 Lemon Loaf Cake with Lemon Glaze is light, moist, and lemony. It’s a delicious lemon dessert with the perfect balance of sweet and tart. If you’re a fellow lemon lover, you’ll want to try this luscious dessert. The bright, lemony flavor will remind you of spring no matter what the season. 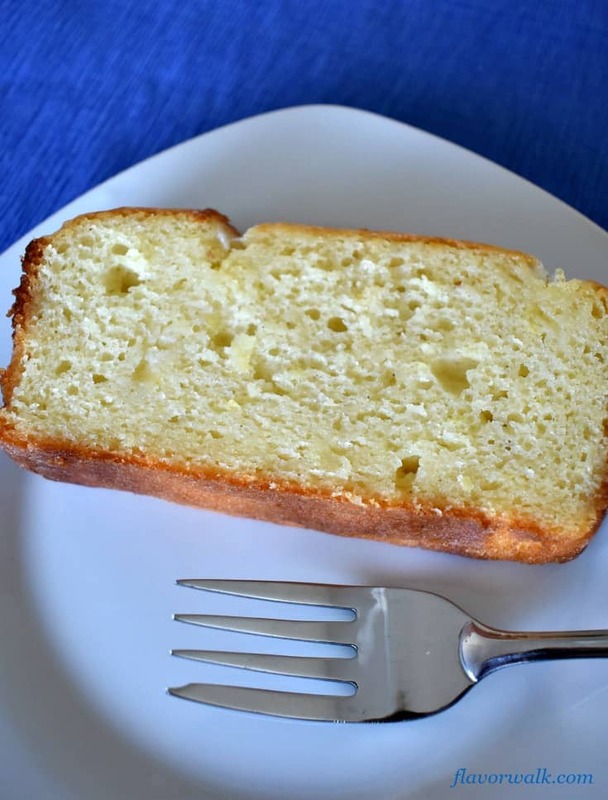 The inspiration for this Lemon Loaf Cake with Lemon Glaze came from Ina Garten. Her cookbooks line my bookshelves and I get a lot of use out of her book, Barefoot Contessa at Home. I love adapting Ina’s recipes into gluten free versions that can be enjoyed by anyone with a sensitivity to gluten. This lemon cake is both sweet and tart. For a less sweet dessert, you can skip soaking the cake with the lemon-sugar mixture and simply finish it off with the lemon glaze. Or if you like a more mellow lemon flavor, you’ll want to try my Lemon Blueberry Bread. The batter for this lemon cake comes together very quickly. Two mixing bowls, a few kitchen tools, measuring cups, and spoons are all you need to prepare the batter. In 15 minutes or less you can have the loaf cake in the oven and baking away. After about 30 minutes in the oven, the loaf cake will start to fill your home with the lovely scent of lemons. The aroma is sure to brighten any day. Grate the lemons first to remove the zest before juicing them. Roll the lemons back and forth on the counter for a couple of minutes pressing down firmly with the palm of your hand. This will help break down the lemons and allow you to get more juice out of each one. Line the bottom of the loaf pan with parchment paper to make it easier to remove the moist cake. Allow the cake to cool completely before adding the glaze. If you add it too soon, you’ll end up with most of the glaze sliding off the cake. Lemon lovers will love the light, refreshing flavor of this dessert. 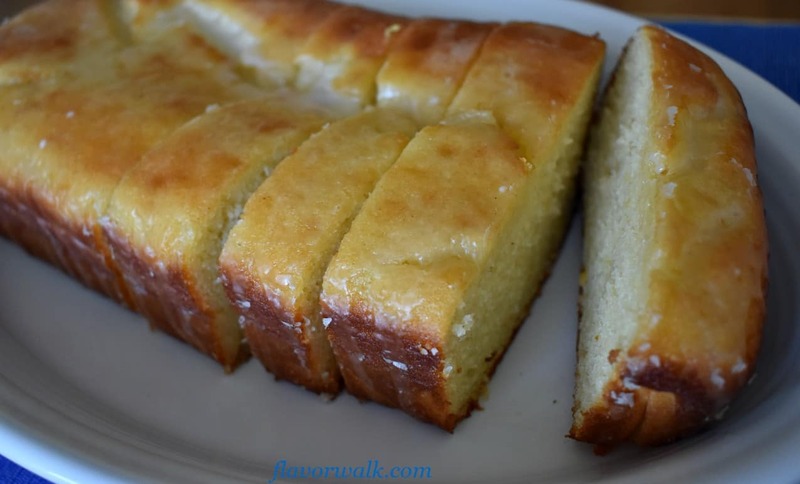 If you’re looking for a recipe to brighten your day, give this Lemon Loaf Cake with Lemon Glaze a try! Enjoy! 9″x5″ loaf pan – This pan is great for making loaf cakes, banana bread, and even meatloaf. It’s a versatile tool to have in your kitchen. Sheet pan and wire rack – The sheet pan is perfect for baking and roasting and the wire rack is useful for both cooking and cooling. 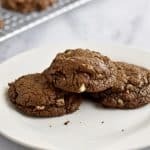 Together they work great whenever you need to drizzle icing or pour chocolate without making a mess. Microplane zester/grater – This tool makes zesting lemons and other citrus fruit a breeze. It can also be used to grate hard cheeses, onions and ginger. 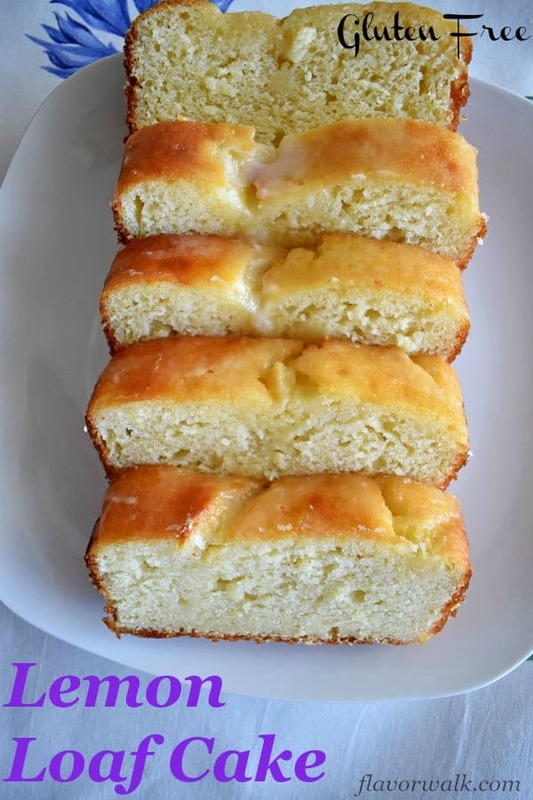 Lemon Loaf Cake with Lemon Glaze is light, moist and lemony. A delicious lemon dessert with the perfect balance of sweet and tart! Grease 9"x5" loaf pan. Add parchment paper to the bottom of the pan, then grease and flour the pan. In a medium mixing bowl, stir together the gluten free flour, xanthan gum, baking powder and salt. Whisk the yogurt, 1 cup sugar, eggs, lemon zest, and vanilla in a large mixing bowl. Slowly whisk the flour mixture into the yogurt mixture until combined. Using a rubber spatula, fold the vegetable oil into the batter until it is incorporated. Place the batter in the loaf pan and bake for 40-45 minutes, or until a wooden pick placed in the center of the cake comes out clean. While the cake is baking, cook the 1/3 cup lemon juice and 1/3 cup sugar in a small pan over medium-low heat. Stir occasionally until the sugar dissolves. Remove from heat and set aside. 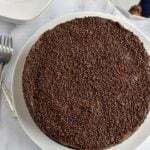 Once the cake is done, remove from oven and allow to cool in the pan for 10 minutes. Carefully remove the cake from the pan and place on a baking rack over a sheet pan. Then pour the lemon juice and sugar mixture over the cake and allow to soak in. 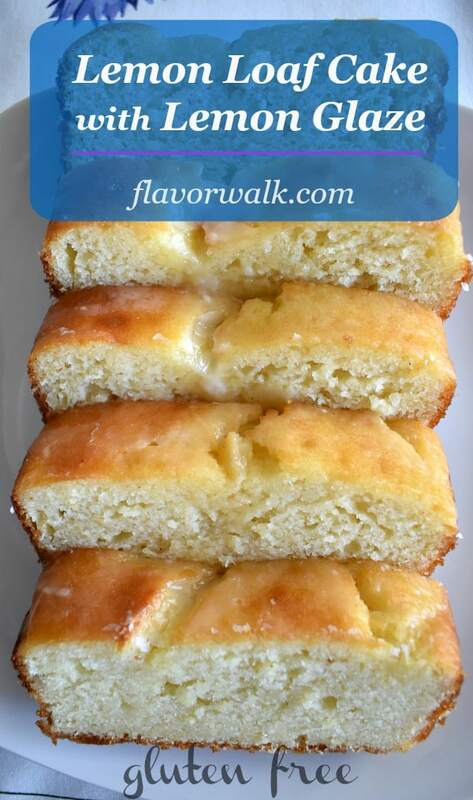 To make the glaze: Combine the 2 tablespoons of lemon juice with the powdered sugar and stir until smooth. Once the cake has cooled, drizzle the glaze over the top and down the sides. Oh you know I would eat this!! If I thought it would ship well, I would send some your way! I do know it freezes really well.